Wrap around upper arm band. 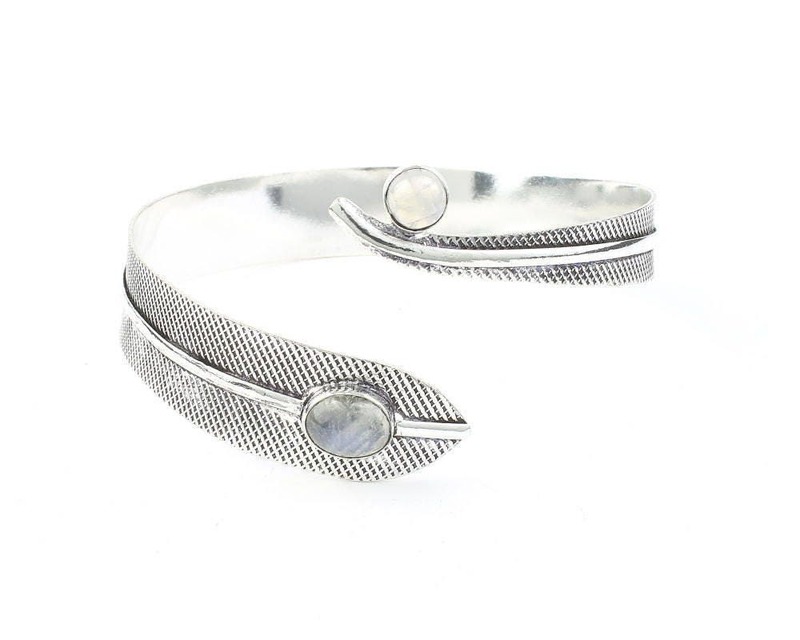 Wide feather design wraps the arm with lovely moonstone accents. Please Note: This is a genuine gemstone piece. These stones are made by nature. Each piece is unique and may vary slightly from what is pictured.